We come across varied kinds of tickets in our daily life. They are small piece of card or paper generally rectangular in shape. 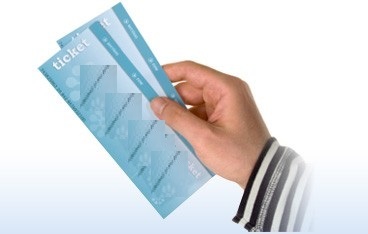 Event tickets are used for a variety of purpose that is the reason they are extensively found almost everywhere. You will come across event tickets in the railway station, airports, bus stands, parking lots, cinemas, stadiums, shopping plaza, and a lot other places. They are designed focusing on creating a brand identity by using the right words and proper visuals. S S Graphics are a reliable name when it comes to event ticket printing. Our customized printed ticket offers a big opportunity to advertise product and service in order to increase business identity. We have the latest technologically advanced printers and highly skilled designers who will come up with an attractive design using their creativity and artistic imagination. We can as per your need add the logo, mission statement or punch line to make it more attractive. Our event tickets are a visual treat, it will invoke curiosity and the customer would be eagerly looking forward to be present in your event whether it is a music concert or a live performance by any celebrity. Events Tickets Printing is Easy! An excellent event ticket design will not only share important information with ticket holders but also capture the essence of your event. We do perforations to allow easy separation of two sections of the material, such as allowing paper to be torn easily along the line. The other half of the tickets can be kept as souvenirs from the event.